INTUITION, a business strategy firm specializing in the vacation club industry, with clients spanning six continents has again expanded its list of services to further enhance its one-stop approach to improving business performance. INTUITION focuses on four key areas and has expanded its services in each of these areas in recent months. The company offers a hybrid analysis/services approach, where consulting blends with its own services and integrated strategic partner solutions, enabling clients to primarily deal with just one vendor who oversees the project, while receiving the benefits of several vendor products and services. 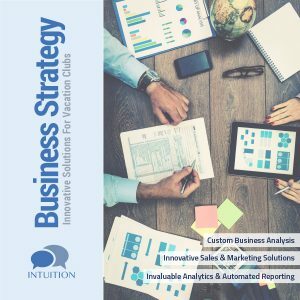 Going beyond traditional consulting, INTUITION uses its technological approach to analyze a business’s health to find areas of success and areas for improvement across sales, marketing and operations. This information can either be used by the client to make their own adjustments, or they can engage INTUITION to fulfill and manage some or all of the required needs. Some of the analysis services that can be performed include Sales Performance, Marketing Strategies, Brand Marketing, Product Enhancement, Departmental Analysis, Inventory Acquisition, and Delinquency Solutions. INTUITION is renowned for its innovative approaches to AI-based Marketing Automation and effective SMS Marketing and Lead Capture but has recently sourced suitable Tour Generation services and Tour Incentives to complete the pre-sales presentation offerings. From putting heads in beds to day drives to data capture to fuel call centers to reservation feedback and automated reminders, INTUITION now provides a fully-integrated marketing service. In addition to offering the industry’s leading sales closing tool; The Vacation SafeGuard Loyalty Cash Back Program, INTUITION offers highly customized sales analytics and scheduled reporting combined with its real-time sales center survey; which identifies areas for improvement in presentations, sales teams and sales individuals. Recently, INTUITION has added Non-Buyer and Referral Programs, plus an optional Travel Club component and other Membership Add-Ons to further improve value proposition. Recruitment services and leadership training and culture programs are also available to improve retention and performance of employees. All other services, one way or another fall into the area of operations. 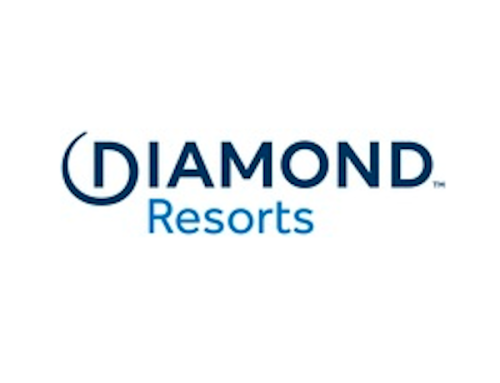 Popular services include post-stay surveys with integrated TripAdvisor Review Collection, which combined with INTUITION’s advanced analytics engine offers the most powerful and relevant information delivered automatically to designated departments throughout an organization. On-Site Feedback is also a main component for most clients; including customized programs for customer engagement by email, SMS and social media to quickly and easily attend to any question, request or concern. INTUITION also offers a plethora of others services to assist operations including but not limited to Member Communications, PR Writing and Syndication, Social Media Management, Review Monitoring and automated analysis and scheduled reporting of any data-set to speed up manual processes and increase the accuracy of shared data. INTUITION provides services to over 400 hotels, resorts and sales centers within the vacation ownership industry throughout North & South America, Europe, Asia, Australia, and the Middle East in multiple languages.